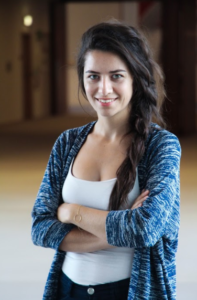 Bahar Camozu works as a Project Manager Assistant for EU40. She joined the team in September 2018. Born and raised in Turkey, she is a recent graduate with internship experiences at NATO and at the UN. She speaks Turkish, French, English, Spanish and learning Dutch. Her educational background includes Bachelor in International Relations at Vesalius College and MA in International Conflict and Security Issues with International Development at the University of Kent. She is currently finishing her second MA in Management at Vrije Universiteit Brussel. She is passionate about yoga and scuba diving. She worked as a scuba diver assistant for a year teaching the newcomers and through her underwater photography and diving experiences, she has been helping spread the message of marine conservation.